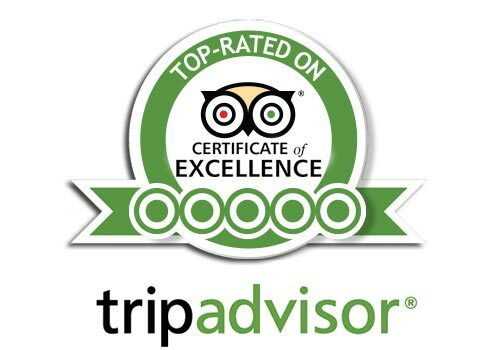 To make your visit an unforgettable dining experience. 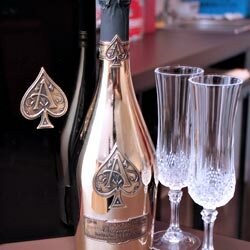 Holds up to 50 guests for private dining with its own bar! 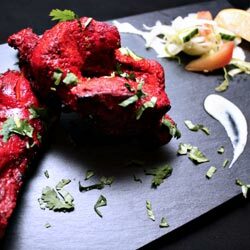 We pride ourselves on offering the finest authentic Indian cuisine in Leicester, using only the best ingredients & rounded spices, with modern, comfortable and relaxed family-friendly environment to make your visit an unforgettable dining experience. 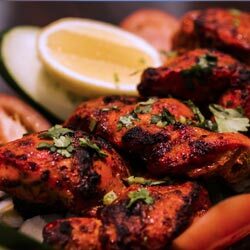 Saab’s grill is an Indian restaurant that prides itself on serving sizzling authentic cuisine of only the highest of standards. 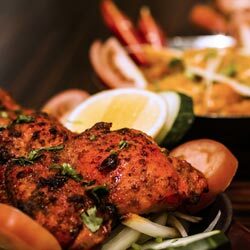 We are passionate about sourcing the finest ingredients, blending them with aromatic herbs and spices and concocting truly outstanding dishes, that will have you mouth watering, that’s for sure. Our restaurant is designed with a theatre style kitchen so you can watch our chefs at work creating your perfect mouth-watering cuisine. 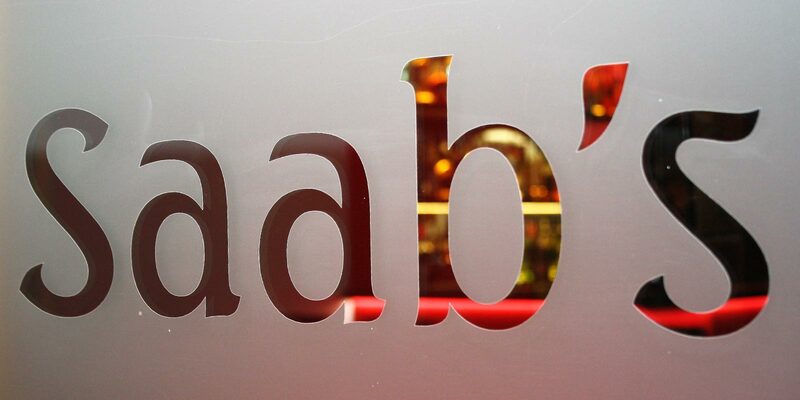 Saab’s aim is to provide great food, great ambience and great service with the personal warmth, passion and care that comes from being a family run restaurant. 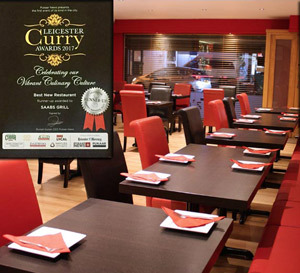 A warm welcoming environment, with first class Indian food. Excellent customer service. 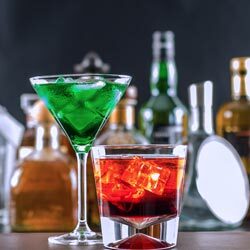 At Saab's you will not be disappointed with the quality of its cuisine. 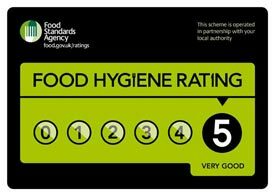 We take great pride in serving our costomers in the best conditions that's why we have been awarded 5 stars for our food & hygiene standards. 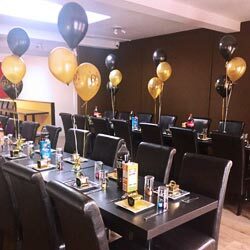 More than just a fine dining restaurant... Saabs grill has its very own FREE function room holds up to 50 guests for private dining with its own bar! 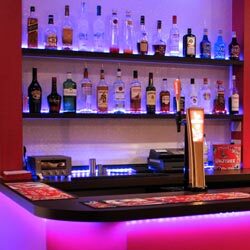 We truly pride to delivers a high standard of service, taste and ambience. 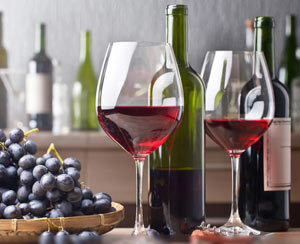 Our guest are made to feel welcome and individually catered for at all times. 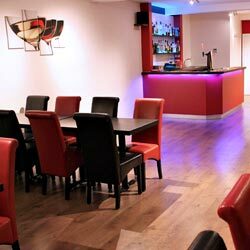 The room will be entirely yours and we can comfortably cater for groups of up to 50. 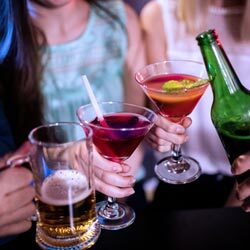 This is a brilliant way to enjoy a family get together. 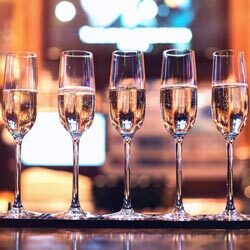 We have a wealth of experience in organising such events and can assist in creating the perfect atmosphere, ensuring it goes off with a bang, allowing you to relax and enjoy your event. 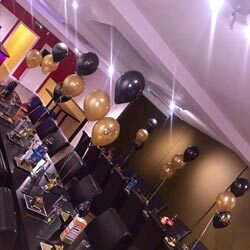 Ideal for Christmas parties, birthday parties, anniversaries, baby showers, christenings, fund-raisers, office meetings/parties, graduations parties, etc. 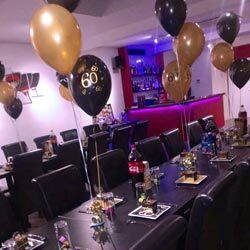 We were a party of 7 and visited Saab's Grill in Wigston to celebrate a birthday last night. The staff were so friendly and helpful and even put up birthday banners for the birthday boy! The food was excellent with a vast choice for every taste. We liked that you could choose the strength of your food when ordering too. We will definitely be back! 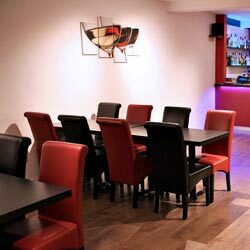 Great food, great quality for the prices and great professionalism from the owner/head staff who takes orders. Great meal with friendly service - and they serve Tusker beer from Kenya! 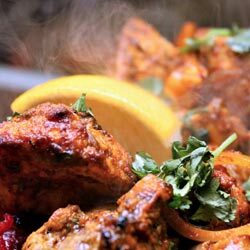 The Lamb Karahi was tender and very tasty. 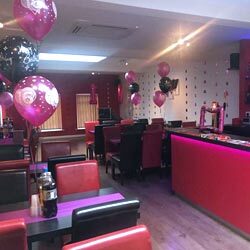 Excellent service, friendly place with a lovely atmosphere. The food was delicious and perfectly spiced. Lots of options for vegetarians including an amazing quorn mince curry which was amazing! Good price as well! 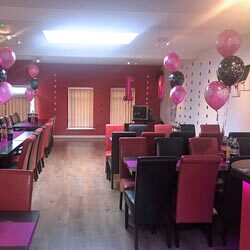 We went here this evening on the basis of Trip Advisor reviews and weren't disappointed. 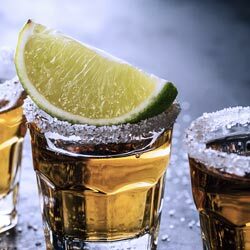 So much so that I'm writing this review an hour later! 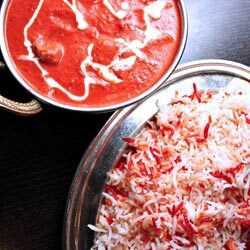 I had the paneer tikka masala and my husband had the butter chicken and asked for it to be made hot. Both were totally delicious as were the naans. 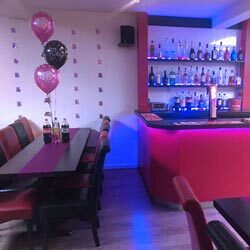 The service was faultless and the restaurant itself is very pleasant. It was also full - even though it was only Wednesday. Definitely worth a visit. We will be back! I had the butter chicken which was really tender and tasty my friend being Vegetarian had lots of choice. 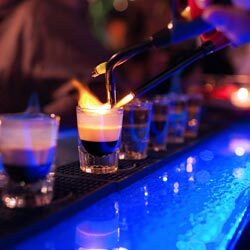 Good price for an excellent meal (compliments to the chefs) including drinks and starter. This was our second visit, I wish I could go every week. Visited again this month with my sister, who had never eaten an Indian meal in her life. 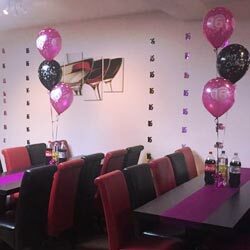 Once more the food was outstanding and the service excellent. My sister had the lamb korma and enjoyed it immensely. I cannot praise this restaurant enough for quality and value for money. Always made to feel very welcome and you are treated as if you are the only people there. 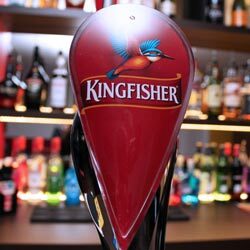 Will return when we visit Leicester again. 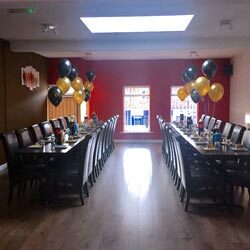 Our 1st visit to the restaurant and we were delighted with the food, service and general ambience of the place. 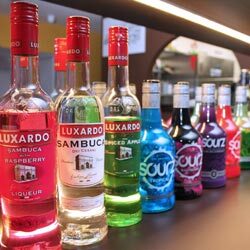 The staff were very pleasant and professional. The food was of the highest quality. Prices are very good too. We will definitely come back again. They even have a take away service. Top notch nosh! 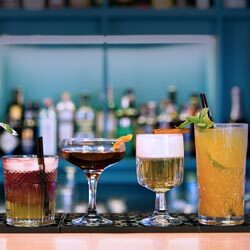 our menu guide, booking, reservation or home delivery. 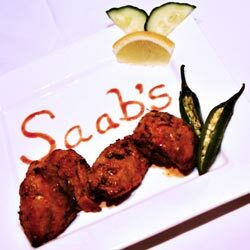 Saabs Grill is everything you could want from an Indian restaurant, and so much more. 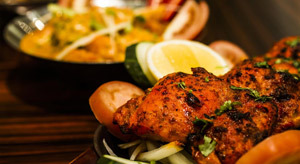 Not just a classic curry house, this Leicester Road space is passionate about sourcing the finest ingredients, blending them with aromatic herbs and spices and concocting truly outstanding dishes, that will have you mouth watering, that’s for sure. 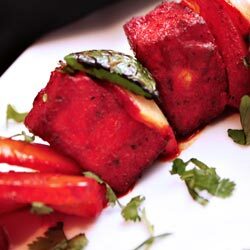 A contemporary Indian restaurant providing true authentic Indian food. 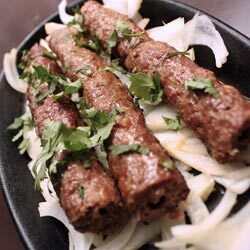 A family run place for everyone to enjoy exceedingly good food!